APPEARANCE: Poured a soft, elegant grapefruit color into my glass. Slightly murky and cloudy with an appearance of fresh squeezed juice. A frothy, dish soap bubbled head rose quickly to the top of the glass,and then dissipated as quick as it produced. What was left of the head settled into a spotted halo that blocked the lazy bubbles of carbonation that where rising from the bottom. AROMA: Big sour notes consume the bouquet right away, once I get past that it really begins to reveal other layers. Lots of over ripe mango the kind you would pick up from the ground that are slightly funky. Peach skin mixed with a wet grain smell that reminds me of peaches and cream oatmeal from when I was a kid. Overall the sourness just keeps coming back bringing with it a heavy acidic aroma as well. TASTE: Peachie-o’s! i mean spot on to the sweet sour candied peach gummies that i love.After the intial peach a very tart fresh squeezed lemonade flavor with slices of mango floating in it comes in. The middle really opens up and becomes quite refreshing, and thirst quenching, right before that sourness smacks me in the teeth again. Ends same as it started peach,mango and lemon sourness. MOUTHFEEL: Light body and Light carbonation, the lazy bubbles are surprisingly prickly on the tongue. 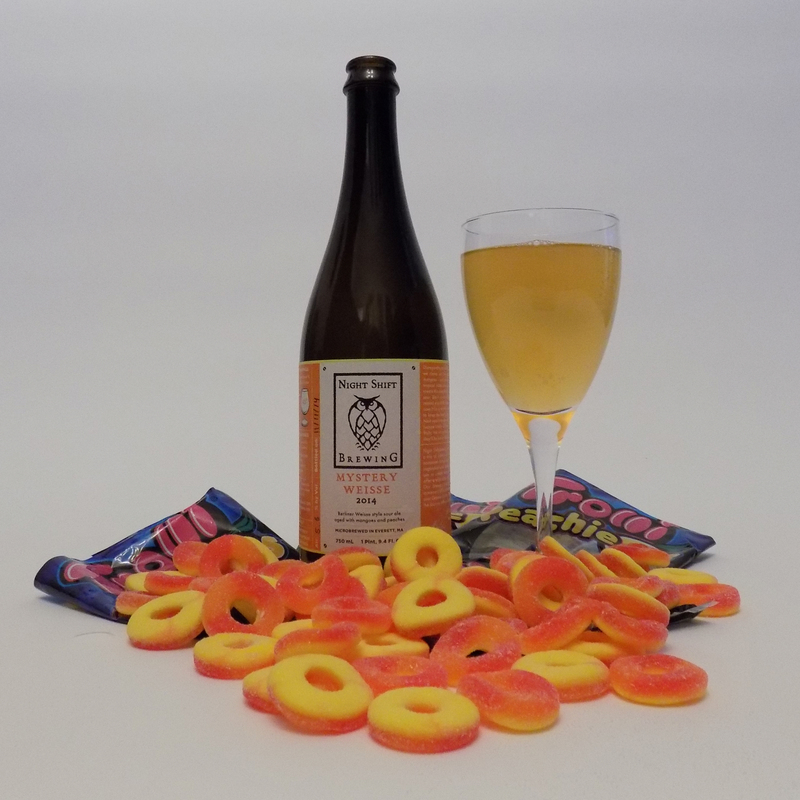 A really great mouth watering long lasting sour finish that invites you to keep drinking. OVERALL: A really interesting take on a Berliner Weisse, I think the fruit really adds to the overall drinking experience. It makes complete sense to do a fruited Berliner since its served to tourists/locals in Berlin with a fruited syrup to help calm some of the sourness down. I read so many different reviews that rated this beer from complete drain pour to outstanding. I’m guessing there is a huge bottle variation issue with it. Luckily for me my bottle was really great, i put it closer to the outstanding mark. This entry was posted in Beer Reviews, Sours and tagged #beer, #beergeek, #beerme, #beernerd, #beerporn, #beerzombies, #craftbeer, #craftbeerlover, #dtlv, #lasvegas, #lv, #sincity, #zombie, #zombies, berliner weisse, craft beer, las vegas, lemon, mango, peach, sour beer by beerzombies1. Bookmark the permalink.